Ancona, Italy – the name comes from the Greek for “elbow.” Ancona is a stubby elbow into the Adriatic in the quiet charm of central Italy with rolling fields of lavender and sunflowers, serene hill towns and limed soil that yields a rich, tangy red wine called Rosso Conero. It’s Maurizio’s city and we go there every summer. 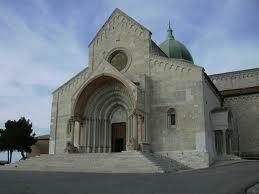 Ancona enjoyed a modest medieval glory and it was then that the Basilica of Saint Ciriaco, patron saint of Ancona, was built on the ruins of a pre-Christian temple to Aphrodite which had briefly (for 600 years) honored Saint Lorenzo. In 1071, the bones of Saints Marcellino and Ciriaco were moved to the renamed and embellished structure built of the creamy white stone that makes Mount Conero, source of Ancona’s lovely wine. Two lions guard the great doors of the basilica, supporting its massive columns. Facing out to sea, the crouching marble beasts have been pitted and corroded over time. Only two parts are polished silky smooth and ruddy: the backs and the seemingly bloody mouths. An adult hand can’t fit between teeth and gums. Ten centuries of children have done the patient work of polishing. When Ancona was besieged by the Holy Roman Emperor, when she repelled him, grew powerful and received tribute from hill towns all around, when the Black Death raged, when the Renaissance surged out of Italy, in the long struggles for unification and the years of war, legions of children played on the lions. They came for mass, for feast days, weddings and holy days, now for concerts, recitals and school trips. Today Anconitani bring their children to the familiar beasts. 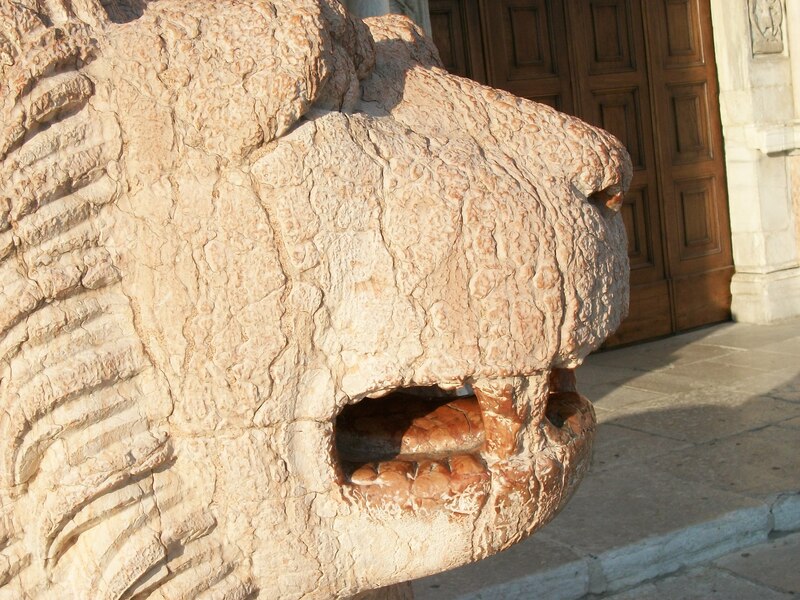 We brought Silvia, age three, to the cathedral and no one had to tell her – she thrust her hand into the lion’s mouth and laughed.